Will ORCA Follow TriMet’s “Virtual Card” Fee? Portland TriMet recently rolled out the first-of-its-kind-in-the-US “virtual” smart card. The virtual Hop Fastpass account requires use of GooglePay on an Android smartphone, but doesn’t require getting or using a physical Hop Fastpass. The smartphone accessing the account provides all the functionality of the physical Hop Fastpass, using the same motion of briefly holding the phone against the card reader. It is the only agency with daily and monthly fare caps (only available on Hop Fastpass). It is one of a small handful of agencies offering a low-income fare discount. It is the only agency that allows smart phones to provide the same functionality as smart cards, without having to get a smart card. TriMet is trailing the industry in one regard, though: the price of its smart card. TriMet charges the third-highest fee in the country for its transit smart card – $3 – with only the ORCA card and Anchorage People Mover’s Smart Card (each $5) costing more. 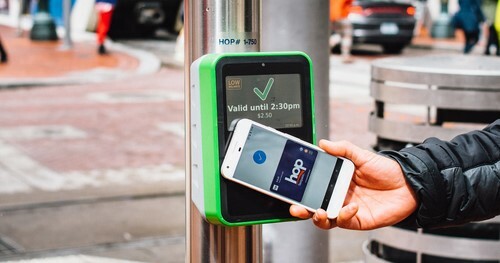 As I’ve documented multiple times, the industry standard is to make transit smart cards available for free, or free after rebating any fee into the card’s e-purse. Now, citing what reads like a bizarre social justice concern troll, TriMet is charging for the “virtual Hop Fastpass card”, even while saving the cost of producing and distributing physical cards. 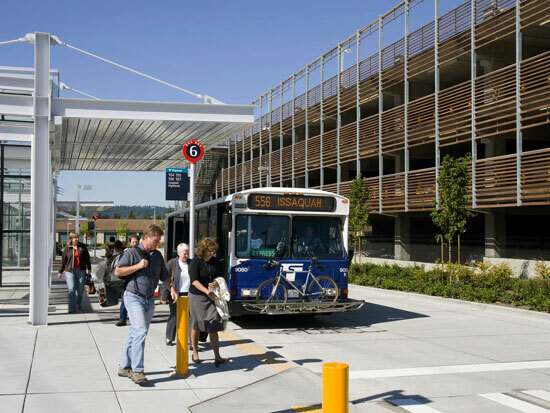 This week, Sound Transit’s board approved an expanded permit program that would bring paid parking to several of its most popular park-and-ride lots. In addition to the $5 carpool permits, ST will now add a permit for single-occupancy drivers. Rates will vary based on the location of the park and ride but could be as much as $90/month, with a discount for ORCA LIFT holders. We covered the program in depth last year. This action changes the parking utilization threshold for permit implementation (HOV and SOV) from 97% to 90% or higher for at least three consecutive months, allowing program expansion to popular facilities in Snohomish, King, and Pierce Counties (Edmonds Station, Mukilteo Station, Mercer Island Park & Ride, and Lakewood Station currently meet this threshold in addition to the facilities with HOV permit programs). 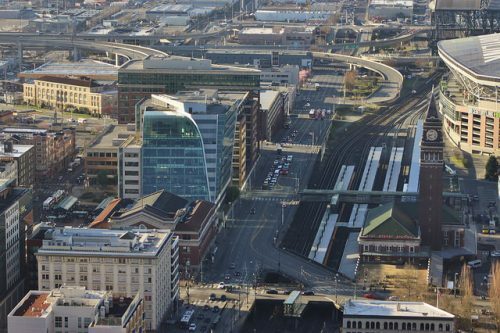 All future facilities built to provide access to Link light rail, or projected to reach 90% utilization within the first year, would be eligible for permit implementation at opening. At least 50% of spaces at the lots will remain free of charge. ST first began piloting carpool permits back in 2013. 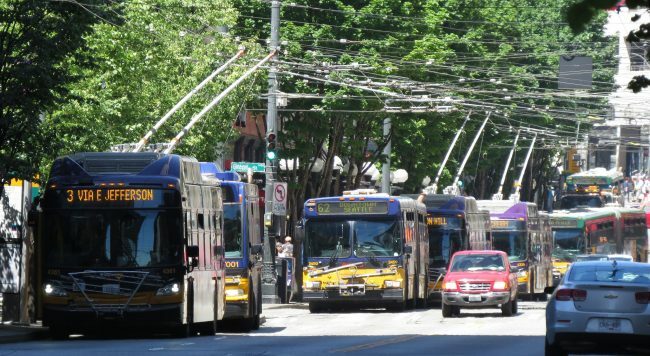 SDOT announced last week that a key stretch of 4th Ave S will get a bus lane this Fall. 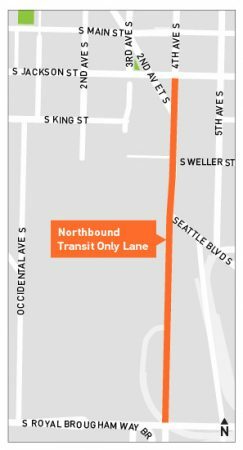 The project extends the existing northbound bus lane between Jackson and Weller further south to the I-90 exit Royal Brougham Way. This lane will be 24/7, though cars will be allowed to turn right. SDOT will paint the lane red. 37 bus routes use this lane to access the curbside 4th & Jackson stop at some point in the day. 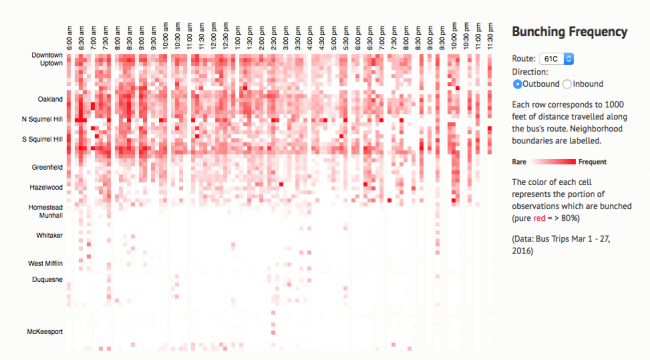 Most are peak-only buses starting their evening run, but the 522, 545, 554, and 594 travel through there all day. A further 19 routes use the 4th & Jackson island on the left side of the roadway, and may be able to use the lane and then get over to the left in time. These routes include through-routed Metro workhorses like the 5/21, 24/124, 26/131, 28/132, 33/124, and 40. The project, which also changes Seattle Blvd S to a double right-turn lane to improve transit times, will cost $149,600. 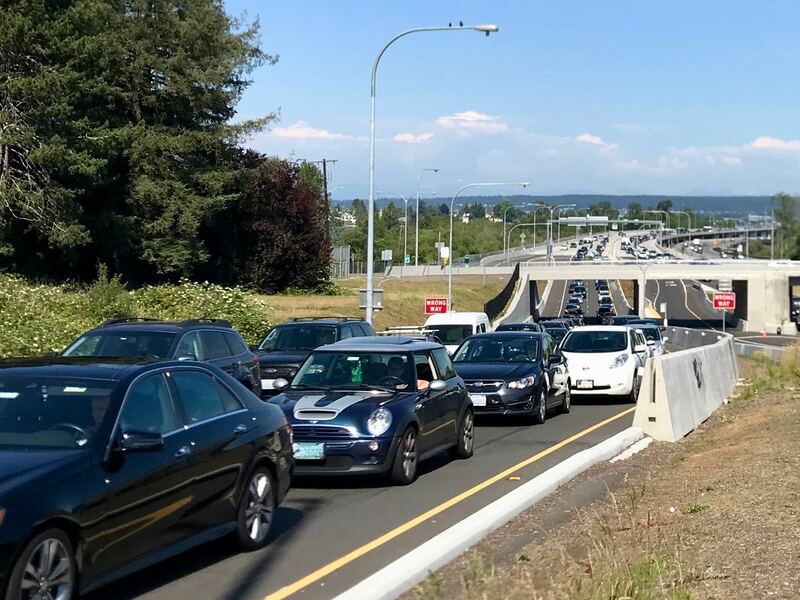 While the big picture is pretty grim at SDOT right now, we can take small comfort from dedicated professionals who are making incremental gains for transit at this scale. You can submit comments to Jonathan.dong@seattle.gov. Update: the transit lane proposal has been adjusted based on Metro’s input. Improvements are scheduled for August 2018. Mayor Durkan’s grim record on transit. Electric buses also have public health benefits. Many bus riders apparently not reading STB. This Times article ($) on streetcar mishaps got a lot of attention, but it’s not clear what facts actually emerge in the article. You won’t believe what the WSDOT head said. I’m proud of him. Sound Transit car-tab lawsuit ($) dragging on. Limebike is winning the bikeshare wars. Another interim director for SDOT. Amazon paying $1.5m for more bus service. Seattle’s new design review process adds more obstacles and costs to development. Stakeholders walk around Alaska Junction and look at Link station locations. More big buildings coming to the U-District. As with all development news, it’s not nearly enough. 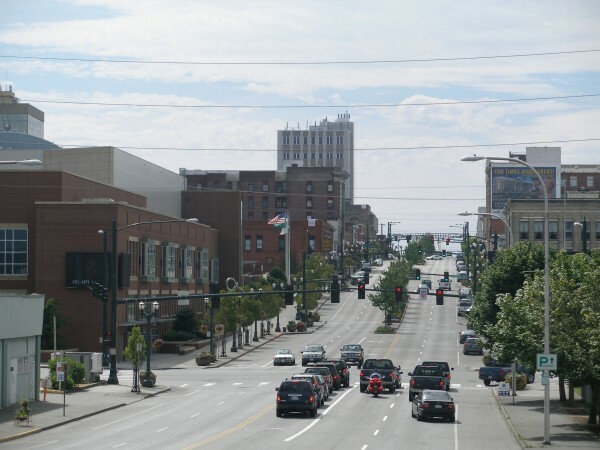 Big plans for Downtown Renton, but there isn’t much about added density. Meanwhile, Everett is embracing growth. Tomorrow I’ll have a story where I count bus routes, but that’s stupid. The Andeavor refinery in Anacortes. Credit: Backbone Campaign. 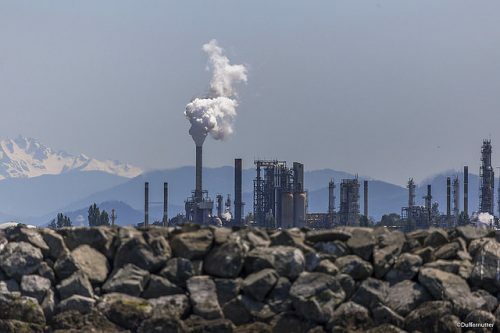 Several of the world’s largest oil companies have committed nearly a million dollars to defeating Washington Initiative 1631, which would institute a carbon emission fee on the state’s largest polluters in order to fund affordable housing and green energy projects. Two “against” campaigns have been organized to oppose I-1631. One was organized by the Association of Washington Business (AWB), and the other was created by the Western States Petroleum Association (WSPA). The WSPA is an oil industry group whose membership includes Exxon, Shell, Andeavor, and BP. According to the latest campaign finance filings with the Public Disclosure Commission (PDC), two campaigns will spend at least $992,006.19 to defeat I-1631. The vast majority of that spending–$916,974.88–comes from out of state oil producers. The campaign will probably raise more money. Initiative campaigns can raise funds until election day, and there is no cap on contributions for PACs working on initiative votes. The AWB campaign is, so far, much smaller than the WSPA campaign. The Washington lobbying group has only raised $14,500 so far. Washington businesses and trade groups have spent or pledged $75,031.31 across both “against” campaigns. Washington-based donors include a trade group for general contractors and a Tacoma oil refinery. Nice interactive chart and map that shows bus bunching on Pittsburgh’s busiest bus corridors. I’d love to see something like this for Seattle. 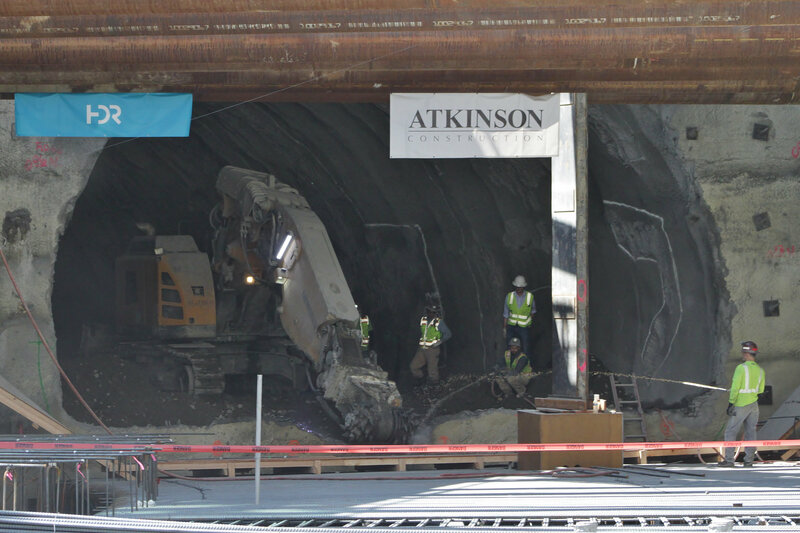 After 15 months of relatively easy digging, Sound Transit celebrated the completion of East Link tunnel excavation in Downtown Bellevue. The tunnel will carry East Link trains from East Main Station (at 112th Avenue and Main Street) to Bellevue Downtown Station (at Bellevue Transit Center and the city hall), traveling for 1,984 feet under 110th Avenue, at a depth of about 12 to 30 feet below street level. Unlike the neat and tidy bores left by the tunnel boring machines on University Link and Northgate Link, the Bellevue tunnel was dug using the sequential excavation method (SEM; also called the New Austrian tunnelling method), which involves removing soil with heavy machinery and spraying pressurized concrete to support the void. Additional waterproofing and steel lattice girders (479 in total) were then added to support the new tunnel, which moved at a rate of a few feet per day. RapidRide H (Delridge) now at 10% design, slipping from 2020 to 2021. Jon Talton argues for the CCC ($) in the Times. 9th Avenue gets red paint. Ofo backing out of most U.S. cities. I hope Seattle survives the cut, but SDOT jacking up fees seems ill-timed. A timetable for (tiny) improvements to Third Avenue. Link weekday boardings exceed 80,000 a day for a month, for the first time. Seattle Council backs a firm timetable for completing the downtown bike network, but the resolution is non-binding. I greatly enjoyed this Times review ($) of the three bikeshare companies, and samples of bike reliability. 209,000 bikeshare trips in May, regulations changing. Trump Administration doing what it can to slow down transit funding distribution. David Gutman reads the bikeshare user agreements ($) so you don’t have to. Kirkland wants to jump on the bikeshare bandwagon. Mayor Durkan won’t meet with broad pro-streetcar coalition; not a good sign. DSTT Escalators still failing massively. Policies that lead to bus drivers leaving early. Pierce Transit formally approves its BRT line, opening in 2022. NTSB Hearing on the Amtrak crash ($) doesn’t cover Amtrak in glory. After voters reject a local tax package, British Columbia and the Canadian government fund a $7 billion transit plan in Vancouver. Portland has a new plan to speed up its buses. Dutch cities in a race to build giant underground parking garages ($) — for bikes. Outside of Seattle, very few candidates are mentioning transit these days. It seems to be an ebb tide in willingness of politicians, including Democrats, to stand up for transit. 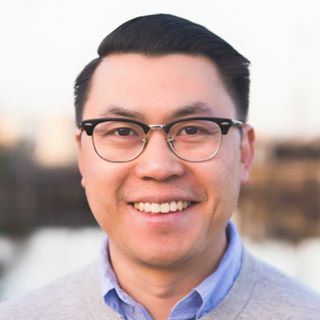 Swimming against this tide is Shoreline Deputy Mayor Jesse Salomon, whom we endorsed when he got elected to the Shoreline City Council in 2015. Salomon proved our instincts right when he voted with a majority of the Shoreline City Council for upzones around the future Shoreline Station, over shouting by neighbors opposed to new housing in their neighborhood. 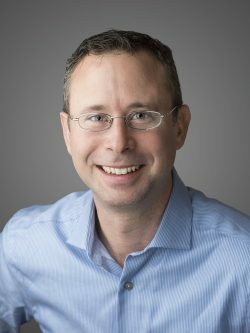 Salomon is challenging Sen. Maralyn Chase (D – Edmonds), who campaigned against the Sound Transit 3 ballot measure. 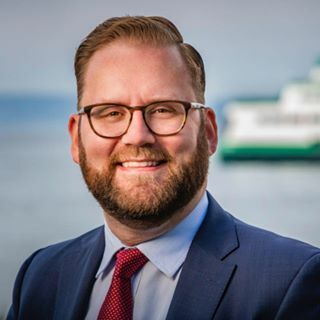 The 32nd District, which Salomon is vying to represent as state senator, includes Shoreline, Woodway, most of Lynnwood, and parts of Edmonds, Mountlake Terrace, and far northwest Seattle. While most other politicians don’t mention transit, Salomon’s transportation page is all about light rail. Cars and buses get stuck in gridlock. 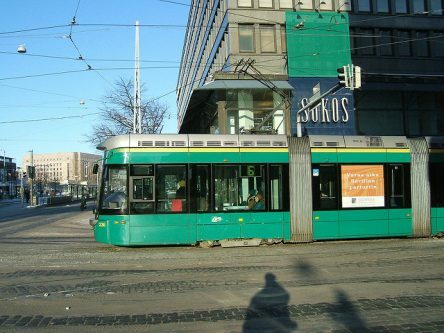 Most major cities have light rail, subway, or other transportation systems that run on their own dedicated route and have traffic signal priority. We need to complete our light rail system as soon as possible and add bus rapid transit service to high commuter locations not served by light rail. Replacing Sen. Chase with Jesse Salomon would tell the Democratic caucuses in Olympia that transit is an important priority. The deadline to return ballots for the primary election is August 7. 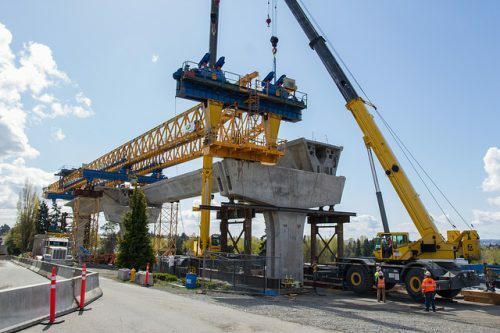 On Thursday, the Puget Sound Regional Council’s (PSRC) Transportation Policy Board (TPB) recommended that five transit projects receive additional Federal Transportation Administration (FTA) funding in 2021-22. 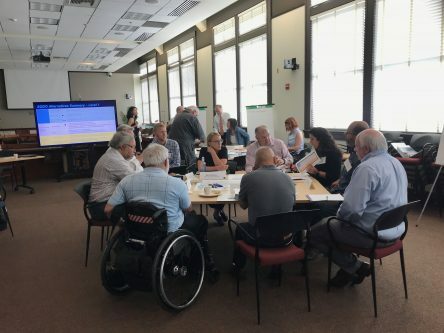 The projects were part of a larger disbursement of federal transportation funds, including highway funding, which must be approved in a meeting of the PSRC’s Executive Board on July 26. Area agencies submitted proposals for a competitive bid process earlier this year. 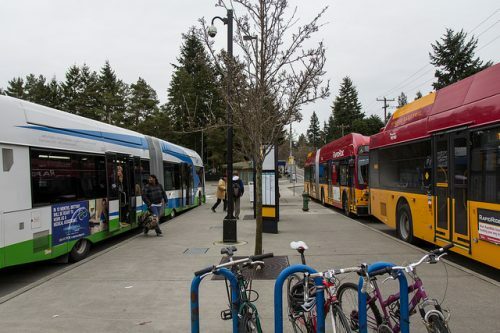 PSRC staff selected the five projects from that group of proposals, and created an additional list of projects, including Rainier RapidRide and Colman Dock, that could receive funding should additional federal funds become available. Three of the five projects did not get as much funding as they initially requested. Four of the five projects are for BRT, and East Link also got a boost. According to PSRC spokesperson Rick Olson, that’s because the funding competition was remarkably popular. Bidding agencies worked together to make sure that funding dollars could be used to the furthest possible extent. The segment of East Link between Microsoft and downtown Redmond gets $7 million towards the Microsoft and Redmond stations and the guideway between them. 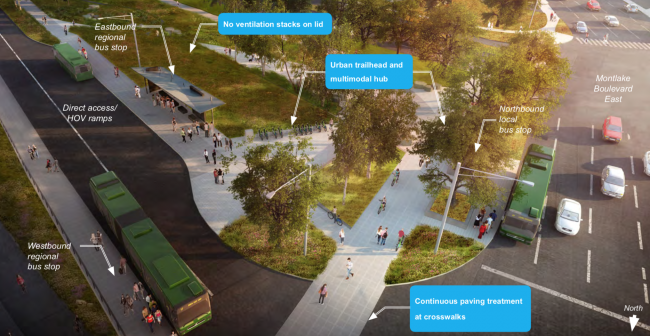 According to Sound Transit’s presentation to the PSRC on the project, the Redmond funds will also be applied towards a cycle track near the downtown Redmond station, a bike and pedestrian bridge over Bear Creek, and several trail connections. The Center City Connector, a streetcar on First Avenue with dedicated right of way, has an uncertain fate. Mayor Jenny Durkan halted construction of the streetcar at the end of March and ordered a project review by consulting and auditing firm KPMG. 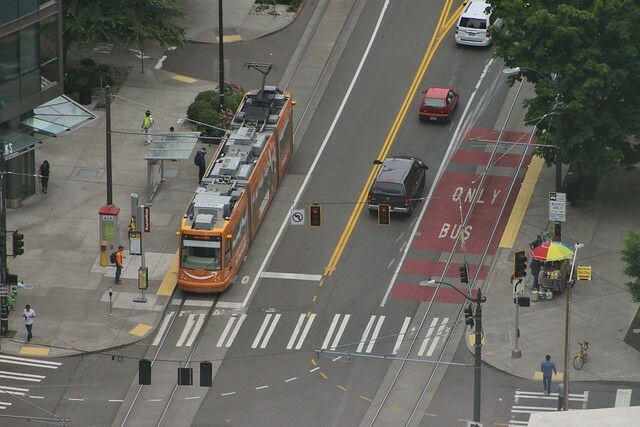 When Durkan first halted construction on the streetcar, transit advocates speculated that the pause and assessment might be a pretext for canceling the project. The delay in the report has deepened that impression. 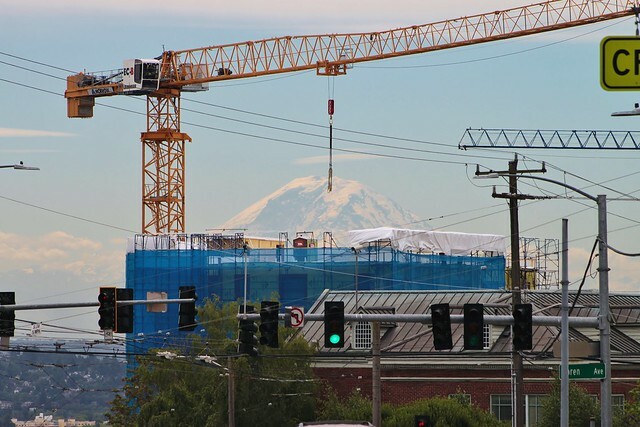 Durkan’s office promised to make the report “available no later than June 19,” but, though a version of the report has been delivered, it has not been made public. According to Durkan’s staff, and a June 29 project update on an SDOT website, Durkan was “verbally briefed” on the project on June 19. However, the mayor “asked for a further analysis on technical assumptions, ridership projections, operations and capital costs, and funding options, as well as more detailed information regarding additional alternatives for providing transit connections moving forward.” The review of KPMG’s findings will be conducted by city agencies including the City Budget Office, SDOT, Seattle City Light, and Seattle Public Utilities. While the contents of the report remains unknown to the public, members of the transit policy community, who did not wish to be identified, believe that the report contains ridership projections higher than the estimates that accompanied the design stage of the CCC. The review of the KPMG report will “verify updated ridership projections, material costs and labor, utility relocations and project timelines for a series of options to ensure the final report is accurate for taxpayers.” Sources believe the motivation behind the second round of auditing is to find policy reasons to cancel the project. When asked for an update on Durkan’s decision, the mayor’s staff directed STB to the June 29 statement. 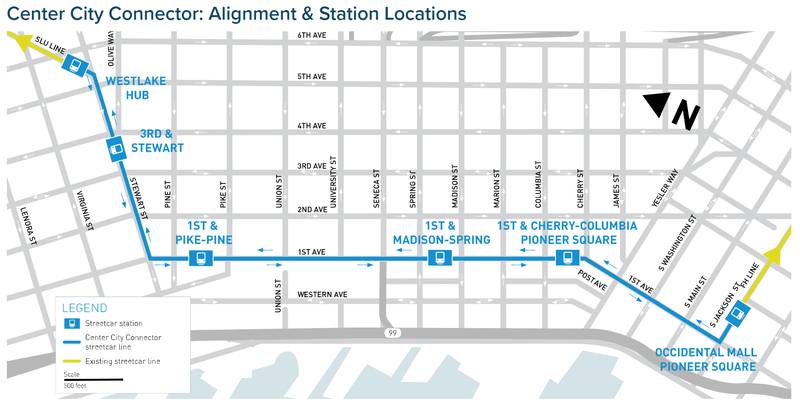 If the project is cancelled, more than the 1st Avenue streetcar might be in jeopardy. Members of the transit community and the city’s D.C. lobbyist worry that turning down federal money for the streetcar could endanger federal funding for other regional transit projects. Even if the streetcar is not built, the city will still have spent a substantial amount of money. 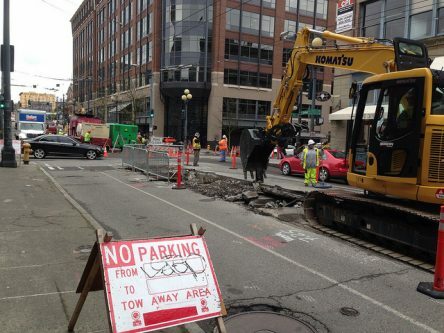 The city has already paid for some utility work and is already on the hook for a total of $90 million of contracts, including an SDOT contract to purchase vehicles. Ironically, if the mayor chooses to cancel the project because of cost, a large amount money will have been spent for nothing.